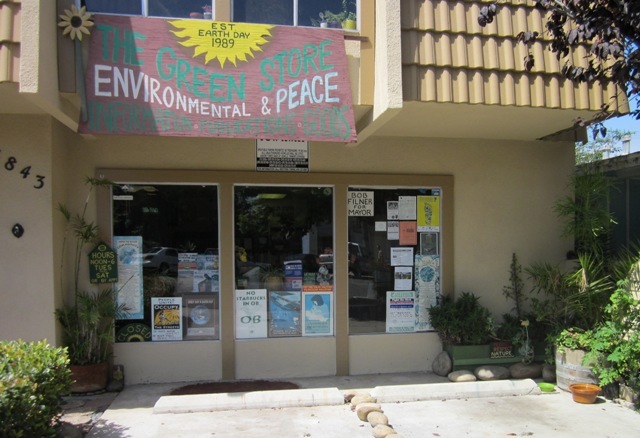 Opening 25 years ago on Earth Day 1989 folks who began The Green Store embarked on a journey to try and “save the world and O.B”, working with groups such as the Ocean Beach Greens, Rainforest Action Network, Earth First, Greenpeace, The Save OB Coalition and Ocean Beach Grassroots Organization among others. In providing peace, social justice & environmental information to our community they have met thousands of caring and concerned people and have benefited greatly from the sharing of their knowledge and hopes for a better world. Come by and reminisce about past victories and ongoing struggles and celebrate that they/ we are all still here after all these years. Also around 4:30 we are having people speak a few minutes about their causes.